Corniche at the Diamond Hotel is hosting the Filipino Culinary Pride food festival featuring Chef Sau del Rosario and Chef Miko Aspiras. This event will be available for lunch and dinner until July 1, 2018 only. The buffet is priced at P2,780 nett but you can avail of a 40% discount (P1,688 nett) by buying dining vouchers at onlineshopping.diamondhotel.com, valid until July 1. 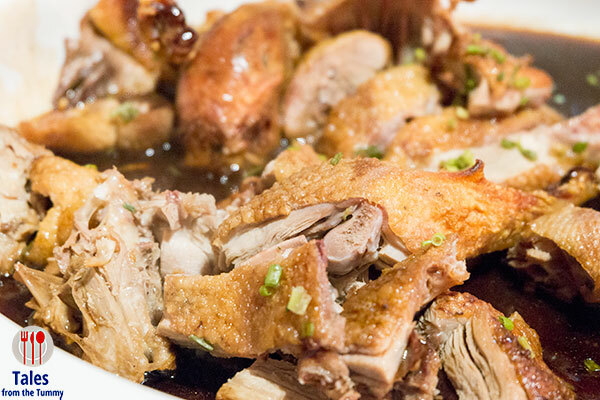 Chef Sau is in charge of the savory dishes featuring surprising innovations on Filipino cuisine. Chef Miko created a dessert spread that veered from the usual kakanin but still incorporated local flavors. One of the most interesting things in the appetizer section is the Sinigang Flan. 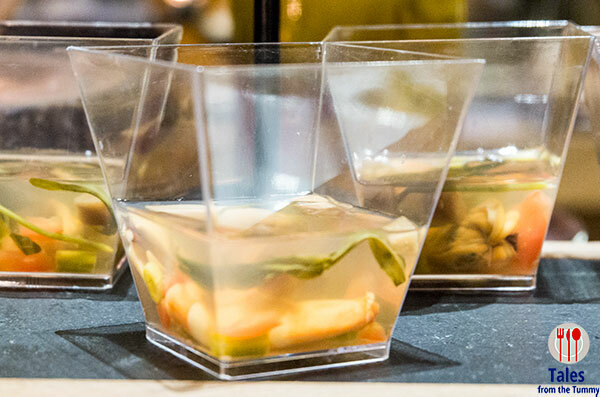 Served cold, the vegetables are suspended in a jelly made from the broth of the sinigang. It’s a different but fun way to enjoy the classic sinigang. 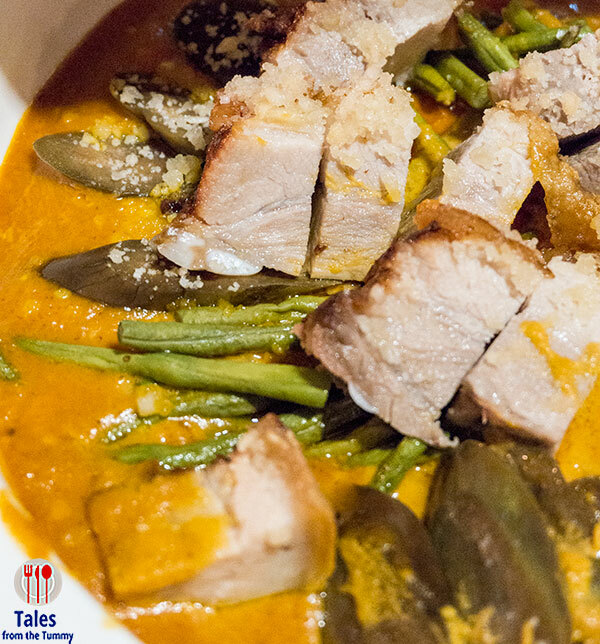 The Talangka tamales gives the classic Kapampangan dish a dose of richness. Chef Sau put out two carb laden dishes that you would be crazy to ignore. First is the Sisig Paella, a signature dish at his restaurant, 25 Seeds, in Pampanga. 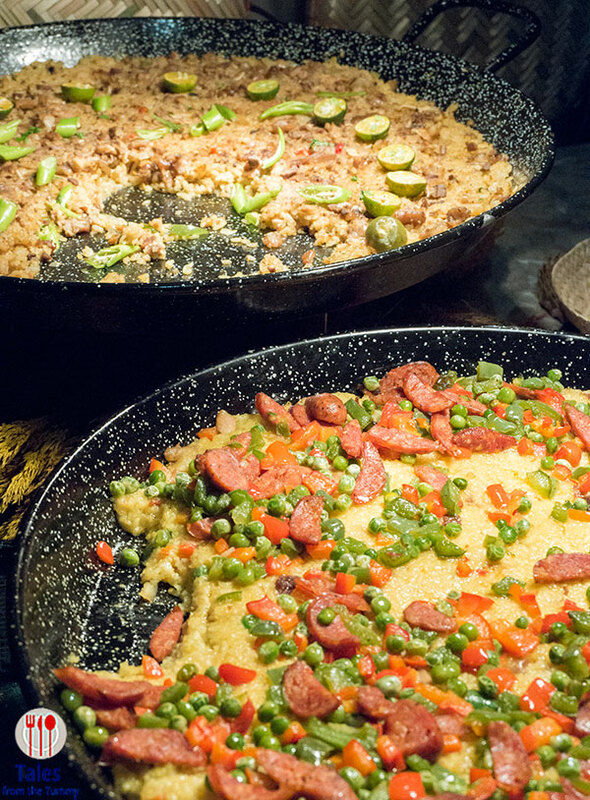 Second is Biringhe, a turmeric flavored local sticky rice version of paella topped with 2 kinds of chorizo. Duck Adobo, delicious gamey cuts of fowl cooked in soy and vinegar, best eaten with white rice but biringhe is a good replacement. Macadamia Nut Kare Kare. This is one of Chef Sau’s signature dishes that I’ve had the pleasure of tasting many times. He uses ground macadamia nuts instead of peanuts lending a light sweetness to the sauce then tops it with crispy pork to Irene’s delight since kare-kare normally uses beef. LuzViMinda Lechon Belly Trio. 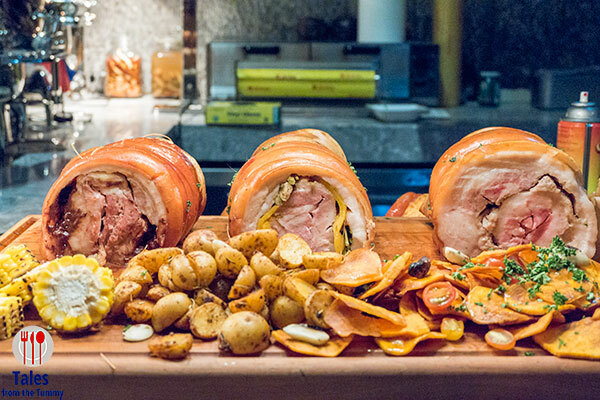 Lechon belly rolls stuffed 3 different ways. Luzon is stuffed with buro (fermented rice), Visayas is stuffed with mango and chili while Mindanao is stuffed with Malagos chevre (goat cheese) and cocoa. My favorite is the Luzon, the buro just went naturally with the tasty pork and crispy skin, it’s like why didn’t any one do this before. Lengua with Mushrooms. 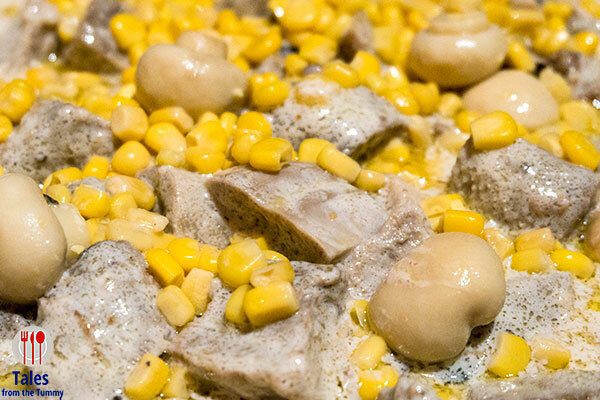 A family recipe of tender chunks of ox tongue (lengua) bathed in decadent butter sauce with corn kernels and button mushrooms.Yet another dish that deserves a heaping of carbs. 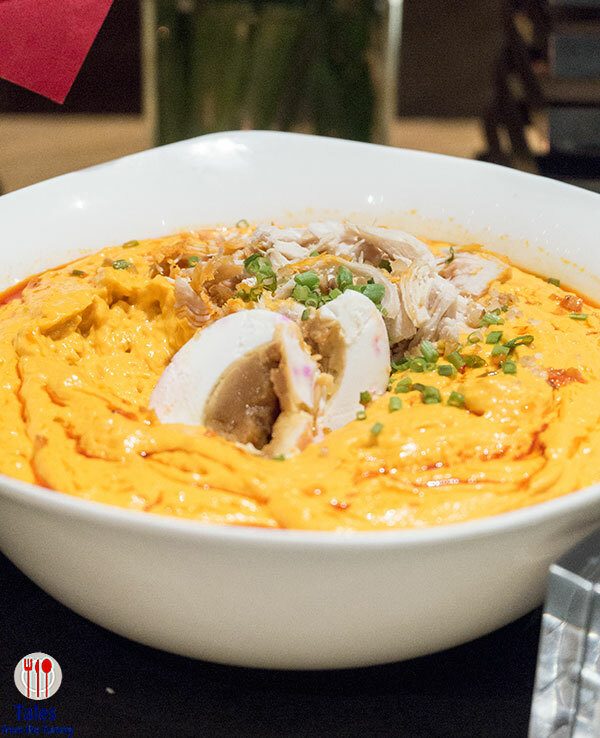 Camaron Rebosado gets a modern upgrade, instead of the normal batter it now uses a salted egg based batter for a more indulgent dish. 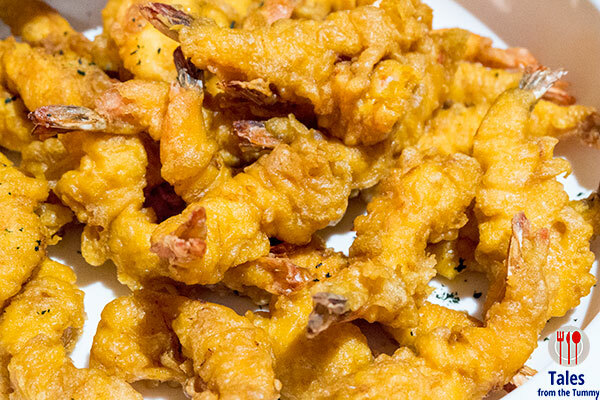 The saltiness and creamy flavors of the salted egg complement the sweetness of the shrimps. 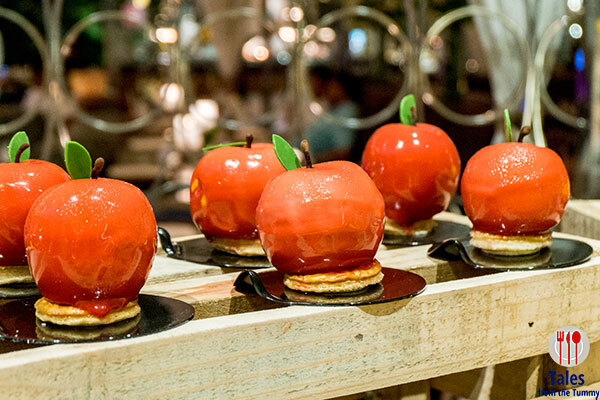 The highlight of the dessert spread are Chef Miko’s fruit creations. 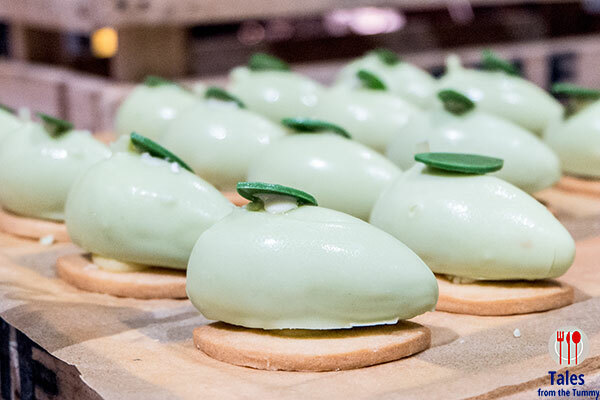 Each piece is a named and shaped like the fruit namesake, although some molds didn’t make it on time so they were done in quenelles or round shapes. Mango is mango mousse with a passion fruit and mango stuffing .The Dayap is a coconut mousse with dayap curd. Mansanas/Apple, filled with dulce cinnammon mousse and Granny smith apple compote finished off with chocolate twig and leaf. 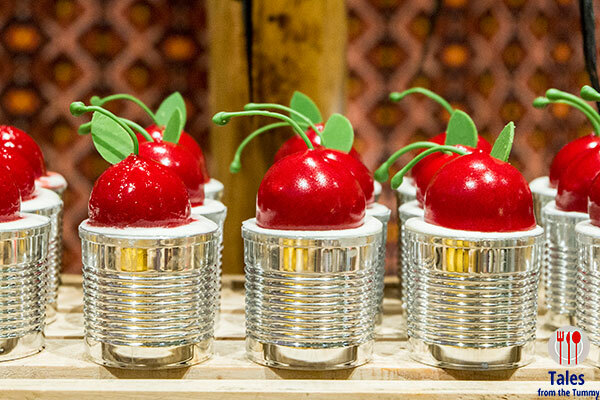 Cherry filled with chocolate sponge, cherry mouse and cherry chantilly housed inside a tin container. 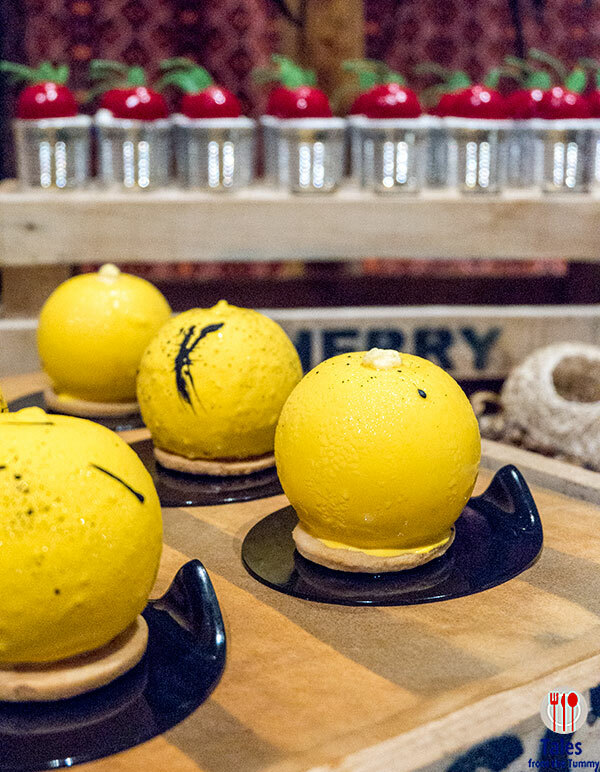 There was also Quezo De Bola Macaron for a addicting blend of salty and sweet as well as Zero waste Ice Cream which makes use of the leftover fruits and bread and mixed it in vanilla ice cream. Roxas Boulevard. cor Dr. J Quintos St.